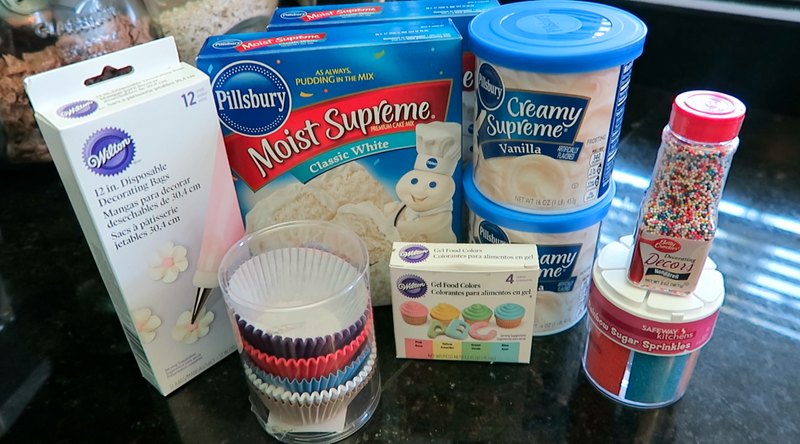 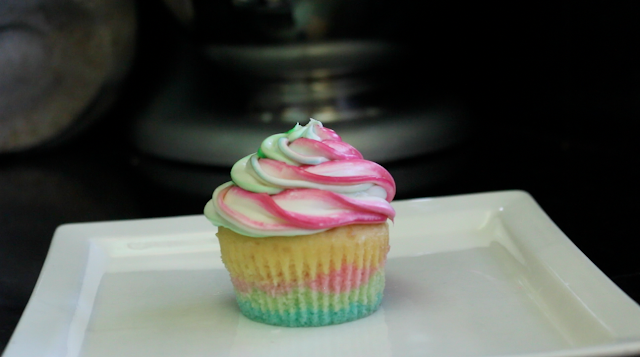 Today I made Pastel Rainbow Cupcakes, you can make the colors much more vibrant by adding more coloring to your mixtures, but since it’s spring I thought the pastel colors were very “Spring” and a super fun and easy idea for Mother’s Day baking! For this I kept it super simple and used a box mix, and frosting, I then made the cupcakes according to the box directions. 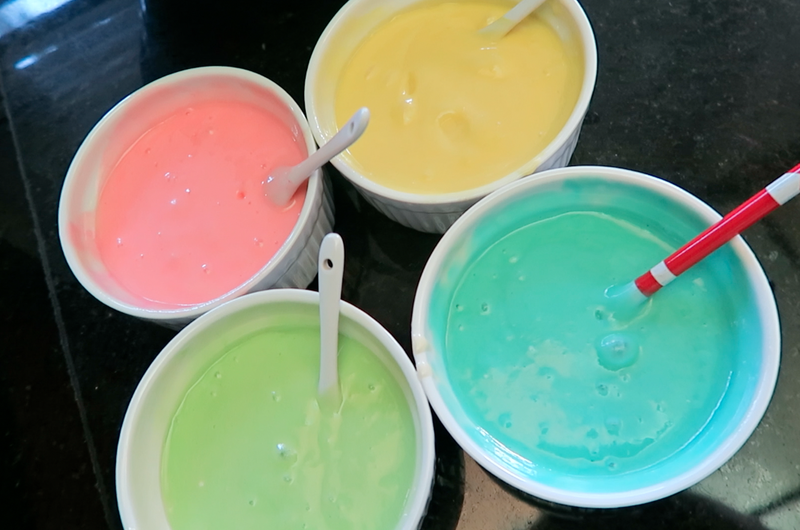 After the mix was ready I separated it into four smaller bowls and added 2 drops of each color, except for yellow I added about 5. 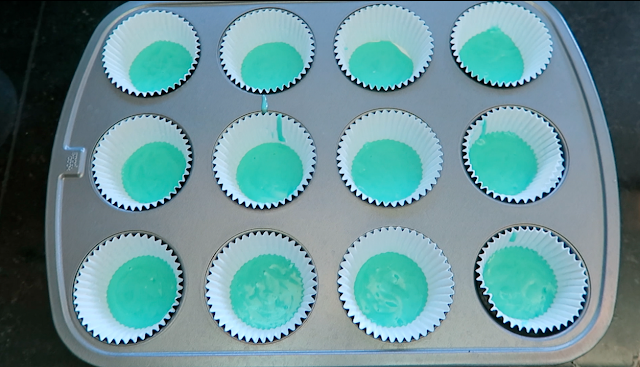 After thoroughly mixing the color in, I poured the first color, Blue, into an icing bag, cut off the tip and covered the bottom of each cupcake tin. 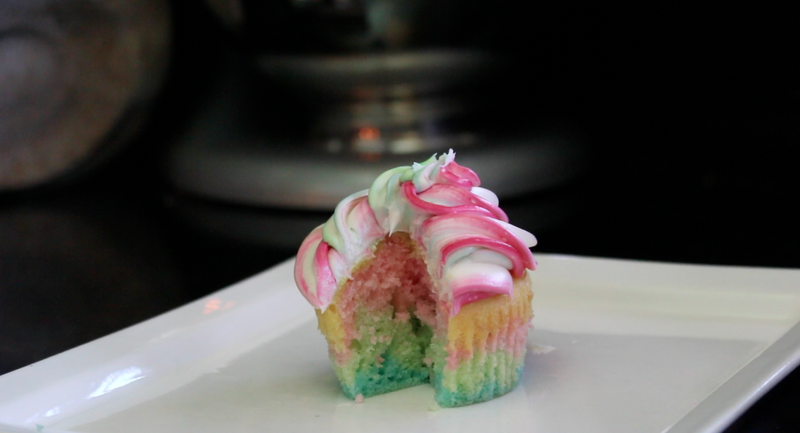 I then followed with green, pink, and then yellow. 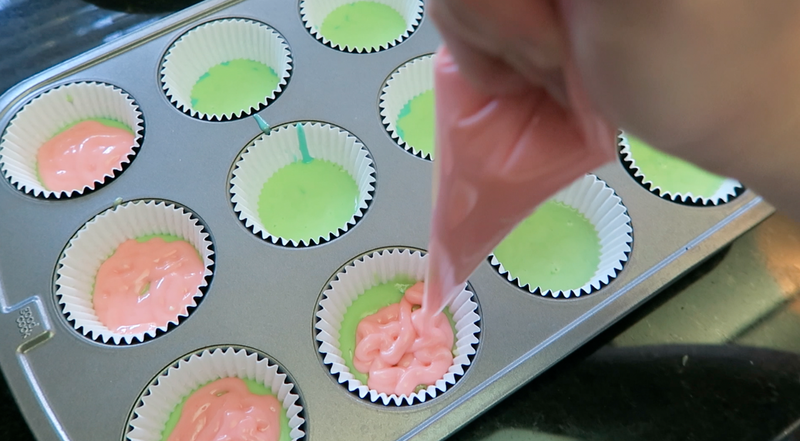 Once done tap your pan on the counter to level out the batter, and then back at 350 degrees for 19 minutes. 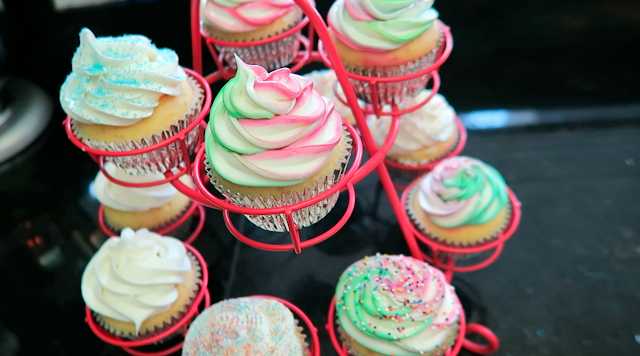 Once your cupcakes are cooled you can frost them any way you like. I added a line of gel food coloring to my icing bag and then added in a scoop of frosting. 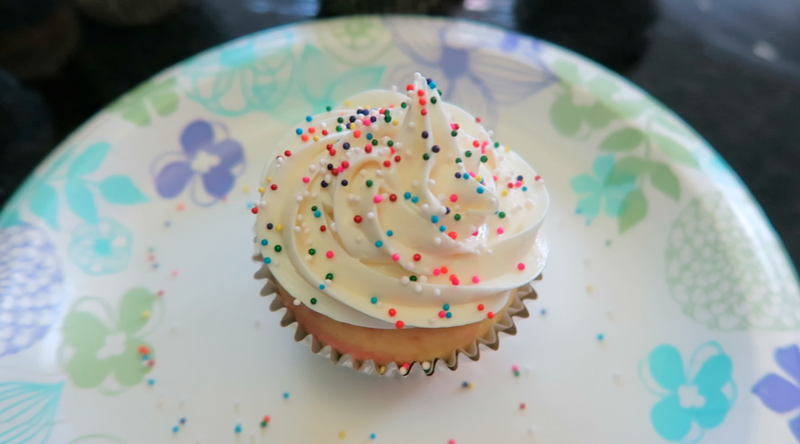 As you pipe the frosting it will create a rainbow effect all on it’s own.Or you can do plain frosting with sprinkles, it’s all about what you want, so have fun with this.